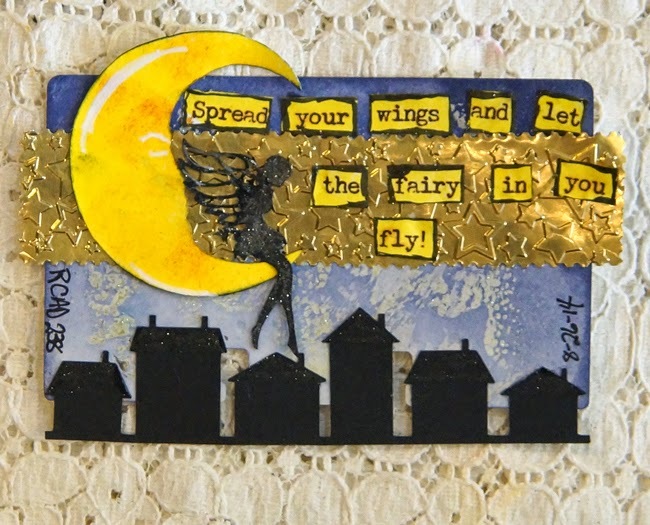 Rolodex Card A Day 238 is another Fairy Fair card inspired by my friend Stephie at littleredwagonstudio on You Tube. She is making a very cool Fair House. Here is the video telling what I did. What a perfect quote for that card! GORGEOUS! LOVING the fairy and the moon!!!!!!! !